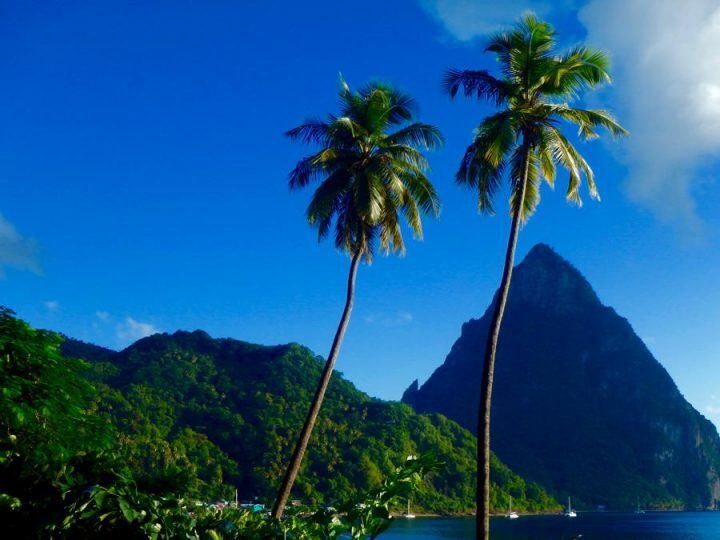 In some ways, St. Lucia is your typical tropical island with beautiful beaches, delicious cocktails, and sunny skies. 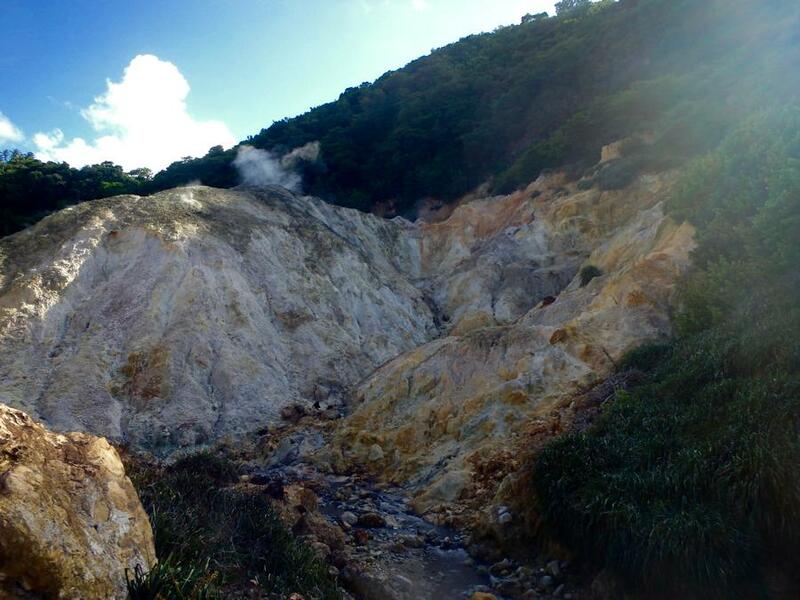 But no other place is home to the incredible sulphur springs St. Lucia has to offer. The Sulphur Springs are so unique they are known as the Caribbean’s (and maybe the world’s) only drive-in volcano. 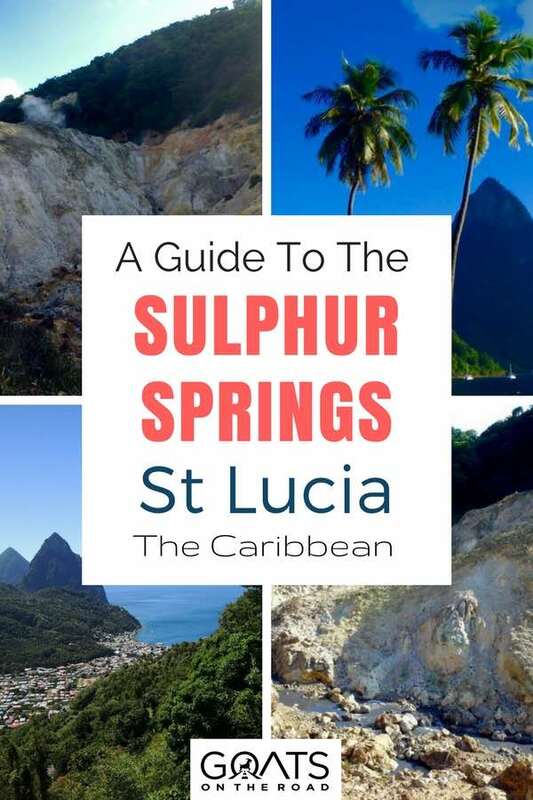 What are the Sulphur Springs St. Lucia? Of all the hot spots on the island, Sulphur Springs St. Lucia is the most famous. You can literally drive right up to the volcanic field with its various colored hues of greens, yellows, pinks, and whites. The aroma of the sulphur leads the way far better than any St. Lucian signage! The ‘volcano’ is not the classic conical shape one imagines volcanos to be. It’s more what I can only think the inside of a volcano must look like. Rugged, sparse, and steaming like the earth’s exhalations. The Sulphur Springs Park is a fascinating study into the geology of a small volcanic island. 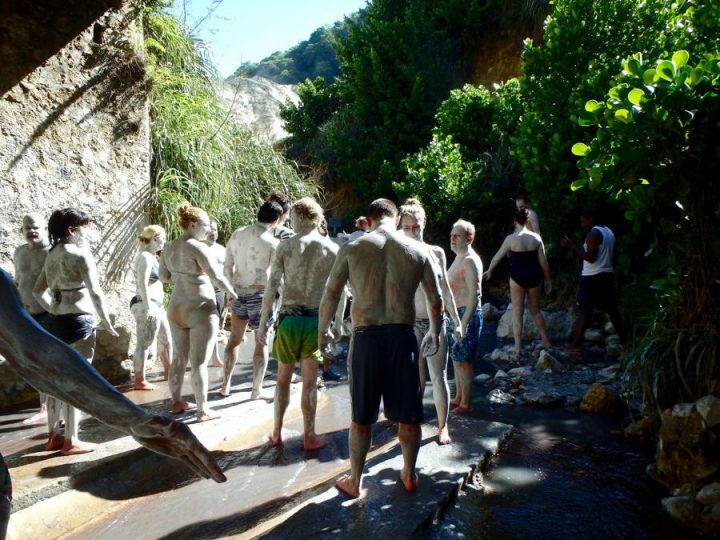 The most active volcanic area in the entire Eastern Caribbean, a walk through Sulphur Springs St. Lucia meanders through craters, steaming mud pits, and rushing sulphuric water rivers. 45 hectares in total, the sulphur springs’ fumaroles can reach up to 341 °F. It means the area feels even steamier than the rest of this already hot Caribbean island. 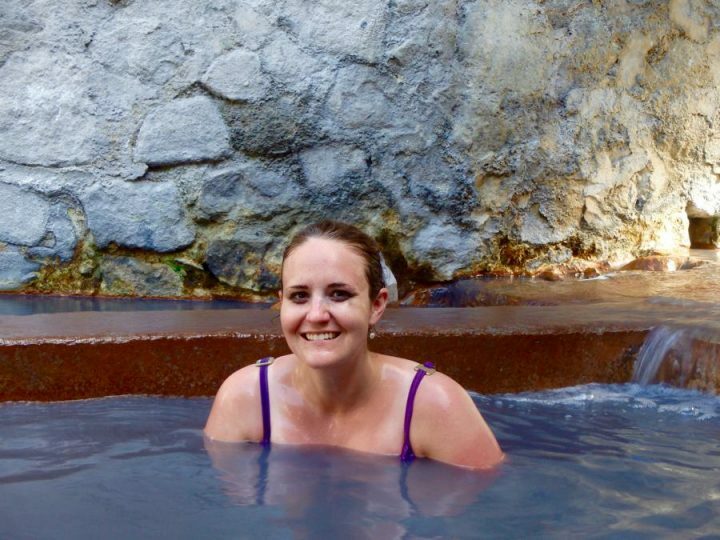 Even if you’re not interested in the geothermal activity of the park, there is another attraction to draw you to the Sulphur Springs, the mud baths. If you love a good natural mud bath, and enjoy slathering up with volcanic debris, these are for you. 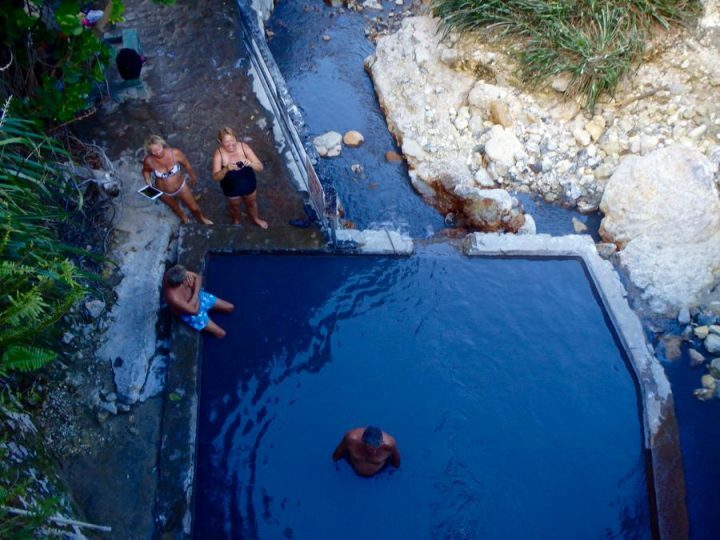 You’ll find the Springs located about two miles from Soufriere on St. Lucia’s West Coast. It’s an easy drive or you can catch a public bus or a taxi. You can also walk, but the road to the springs from Soufriere is more or less uphill the entire time. But if you do choose to walk, by the time you arrive you’ll definitely be ready for a bath. 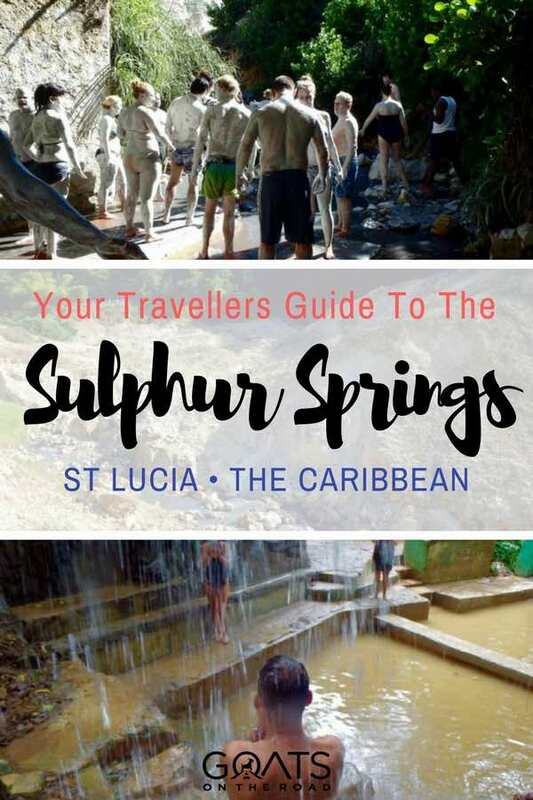 You have three options to experience the Sulphur Springs St. Lucia. You can do a 30 minute tour of Sulphur Springs Park with a guide, just the mud bath, or both as a combination. After changing into your bathing suit (they recommend you wear a dark-colored one), you can dip into one of several concrete pools. 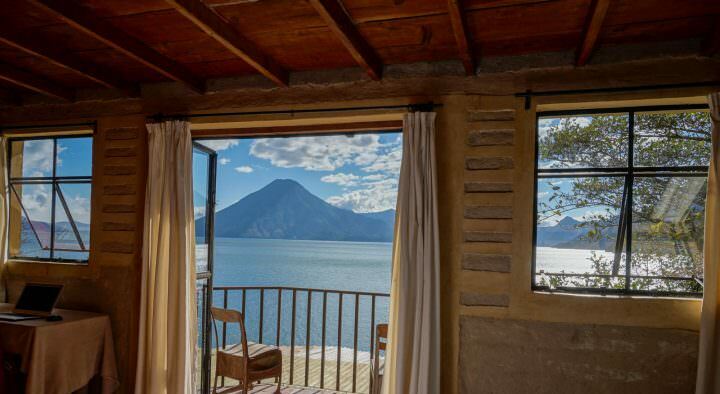 Each holds warm, black water that comes straight from under the volcano. The water, which was originally rainwater, gets heated by the geothermal activity under the ground before streaming out. The pools vary between 95 and 99 degrees, but are oddly refreshing despite the hot temperature of the Caribbean air. You need to soak in the pool for at least 10 minutes to loosen up your pores and cleanse your skin thoroughly. This also ensures you’re clean before you start to slather mud all over yourself. After the lovely soak, you’ll step up for the mud part of the experience where large white buckets of dark black mud await. You’ll then be covered in it by someone whose entire job, it would appear, is to slather mud on tourists. After your body is coated in the smooth mud, you’ll stand out in the sun to dry. As the mud cakes and cracks, you’ll have the chance to chat with the other travellers. Even though you may feel silly, just remember that people pay big bucks for this kind of spa treatment back home. Once the mud is fully dry, you can jump back into the soaking pools to melt away the excess. The water and the mud are said to have ‘medicinal purposes’ that make you look 12 years younger. Though the science behind this statement is debatable, your skin will certainly feel dangerously smooth and refreshed. An easy walk around the geothermal park will take you about 30 minutes. The path is not flat, but it is generally well kept and pretty accessible if you’re unsure about walking. If you want to wander around the park for a while after your mud bath, be warned, you will need a tour ticket. Most folks will come and do the tour and then hit the mud bath. The tour is definitely worth the time and the cost is nominally more than the ticket for just the mud bath. Guides will explain the geoology of the area, the history of the park, and maybe even a bit of local history if you’re lucky. Samfi Gardens – with outdoor pool, garden & kitchen. “Superb” rating 9/10. Click here for the latest price on Booking.com. 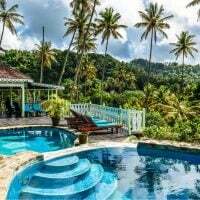 La Haut Resort – with expansive views of the sea, plantation property & pools. “Very Good” rating 8.1/10. Click here to see the latest price on Booking.com. 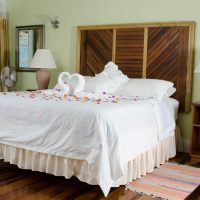 Fond Doux Plantation & Resort – French colonial estate, World Heritage Site, gardens, pools & more! “Fabulous” rating 8.9/10. Click here to see the latest price on Booking.com. 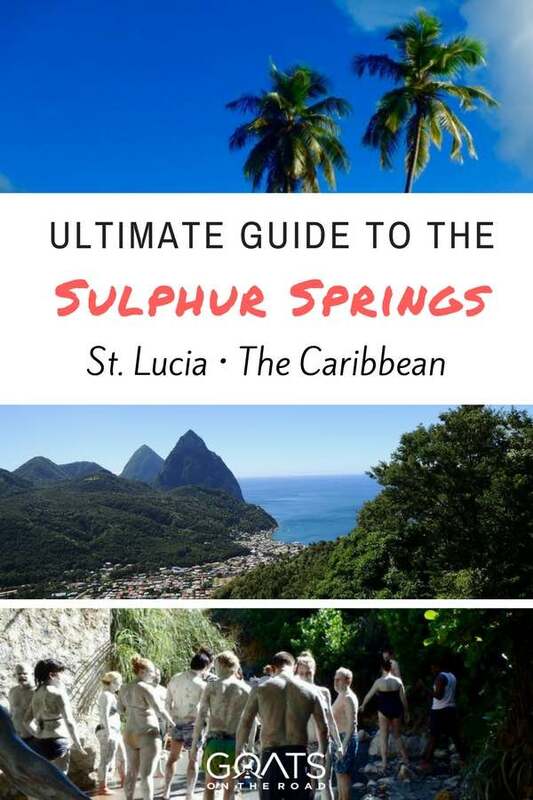 Sulhpur Springs St. Lucia is definitely not the only excellent place to visit in along the West Coast. Some of the best beaches in St. Lucia are very close by such as Soufriere beach for snorkelling or Sugar Beach for luxurious relaxing. Right down the road from the Spings is one of my favourite spots in St. Lucia, the Piton Waterfall. This waterfall is special not only because of its beautiful jungle location, but because of its geothermal source, meaning this cascade of water is warm. To find the waterfall, pull off the road just over half a mile before the Sulphur Springs if you are coming from Soufriere. The road will wind around until you come to a small parking area. Pay your 3USD entry and hike 10 minutes through the jungle on the well worn, though sometimes muddy trail. The warm water waterfalls are both natural and scenic, and nothing feels better than a warm waterfall pounding on a travel weary back. There are concrete pools that have been built for a less intense bathing experience, and to just have a nice soak in the fresh, warm water. 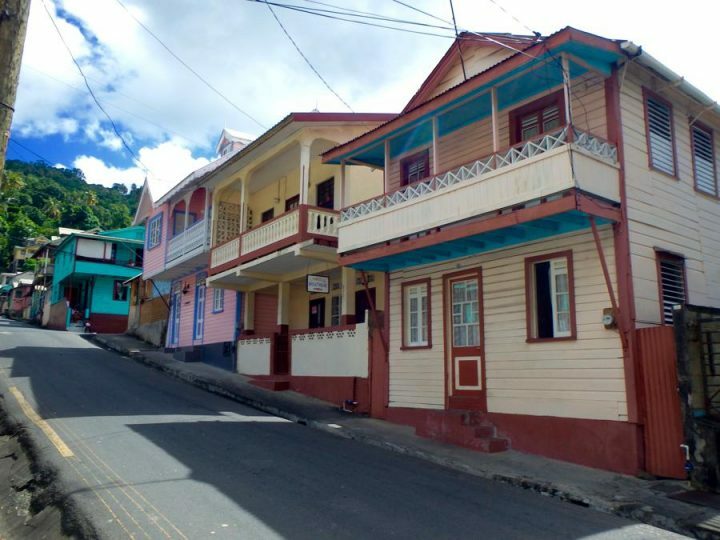 A sleepy fishing town, a few days in Soufriere is a fantastic opportunity to explore the West Coast of St. Lucia. Here you’ll get a sense of real St. Lucian life. 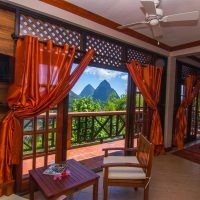 A great base to see the Pitons, visit local mineral baths, and wander the botanical gardens, the town of Soufriere itself also has some draws. Fresh fish caught that day are on offer at the few restaurants in town and the bakeries always seem to be full with new treats. Also, because there are far fewer tourists here than in other parts of the country, visitors can get to know their neighbours. Like much of the Caribbean, St. Lucian life is lived primarily in public and on the streets. 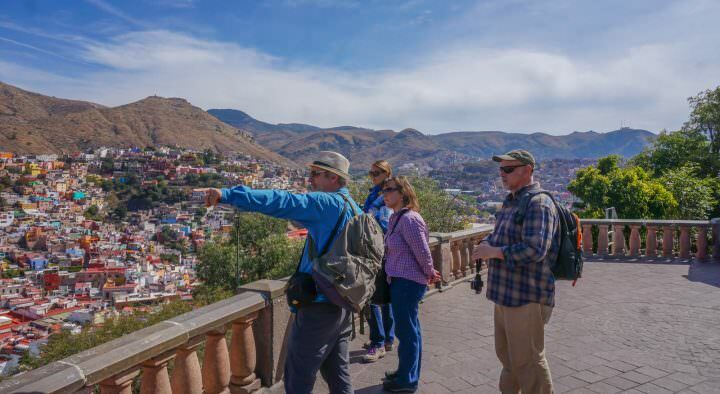 Walking down the road, stop and chat with the locals who will surely be interested in knowing what brought you to their little slice of paradise. 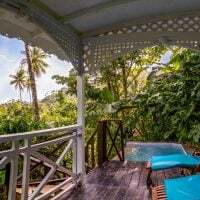 I love staying in places like Soufriere. 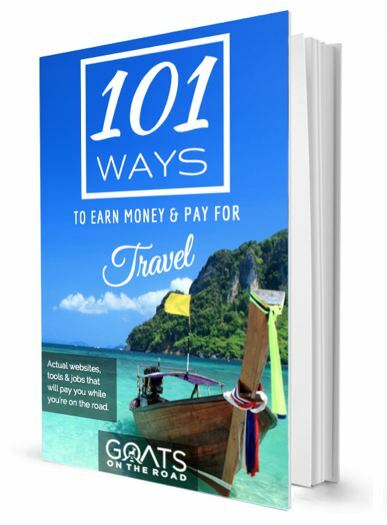 It’s a little off the main track, has few if any groups or cruise ship packages, and a sense of real people living real lives. Which in the Caribbean, isn’t always the easiest thing to find. 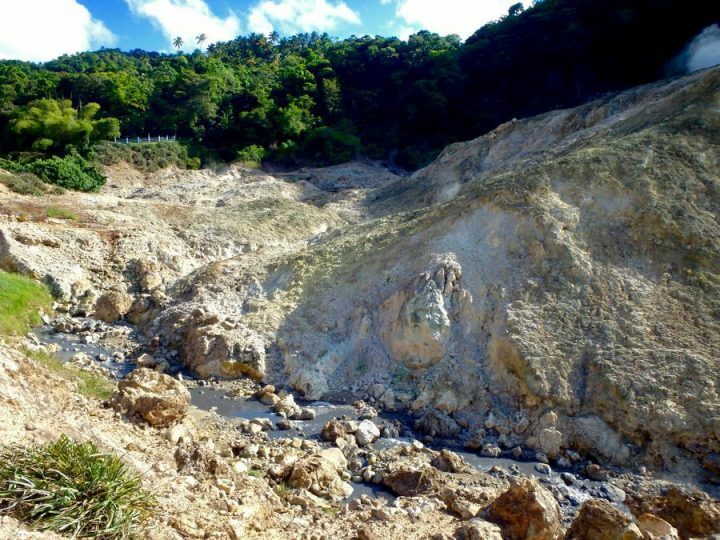 Soufriere is the closest town from which to get to the Sulphur Springs. 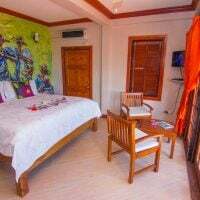 However, folks staying in the north of St. Lucia in the more resort heavy areas of Gros Islet and Rodney Bay can definitely make the day trip to the springs. 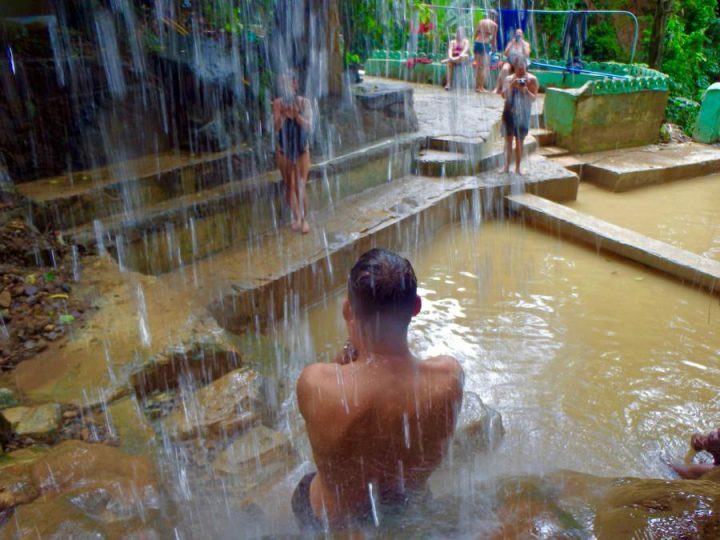 All tour companies and hotels in St. Lucia will offer day trips that could include the springs regardless of where you are staying on the island. 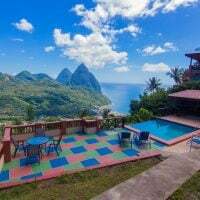 As I am not personally a fan of day tours, I would recommend renting a car and making the Sulphur Springs St. Lucia a stop on your own West Coast road trip. The independence of having your own car and timelines is unrivalled. 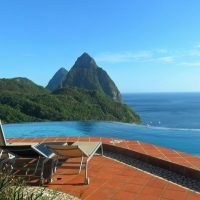 St. Lucia is also a place where you always want to stop along the way for views, and maybe a roadside snack of lobster and beer! 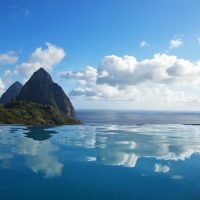 St. Lucia is a gorgeous and unique destination in the Caribbean no matter which way you cut it. The prices, while not perfectly cheap, are not shockingly expensive. 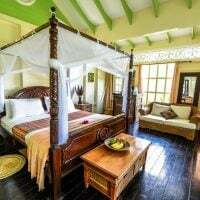 Accommodation in St. Lucia ranges from budget guesthouses with next to no water pressure, to top of the line in luxury travel. Dining is excellent, especially with all of that fresh fish around. St. Lucia can be a beach dweller’s dream, but also an adventure lovers haven, so a trip to the island is exactly what you want it to be. But definitely, leave a day for that mud bath! 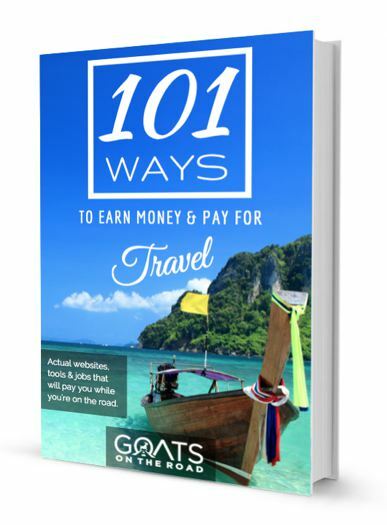 Emily Kydd is a Canadian nomad and creator of the intrepid travel blog See Her Travel. 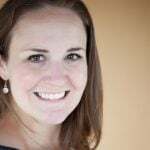 Exploring this world in diverse countries such as Kyrgyzstan, St. Lucia, Nepal, Myanmar and Fiji, Emily loves discovering new cultures, meeting wonderful people and having a laugh while on the latest crazy adventure off the beaten path. Emily is currently based in Vancouver, Canada and works at a women’s drop-in centre.